"The Ultimate Comeback" Tiger Woods Signed Golf Ball Display - EXCLUSIVE! This wonderful collectible celebrates the career-defining victory of Tiger Woods in the 2019 Masters championship over an outstanding field. Superb official memorabilia! Winx Memorabilia Retirement Range - Silks, Lithos and More! Official Winx retirement memorabilia range including the high-demand dual-signed Silks! Find it all here at Sports Online Memorabilia, Australia's home of authentic sports memorabilia. 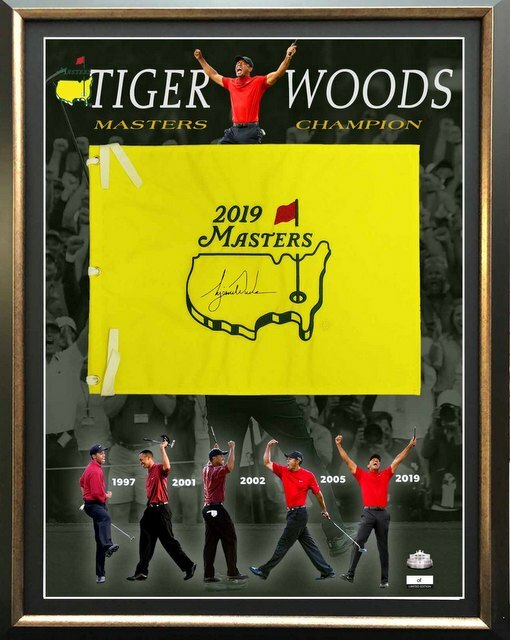 Tiger Woods "Master Again" Personally Signed 2019 Masters Flag, Framed PLUS BONUS! 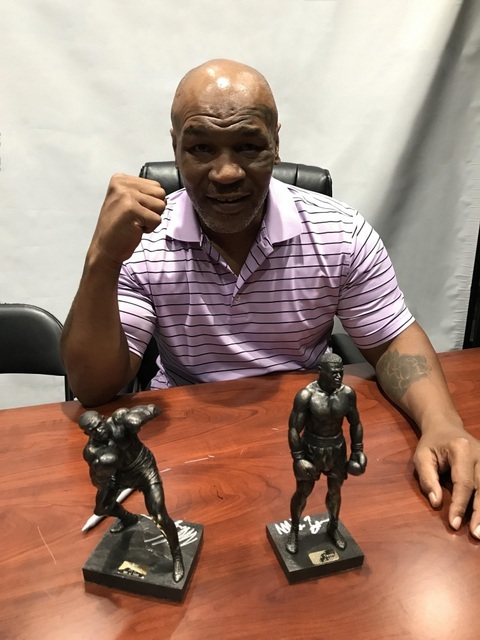 Mike Tyson Personally Signed Action Statuette - SUPER SPECIAL! 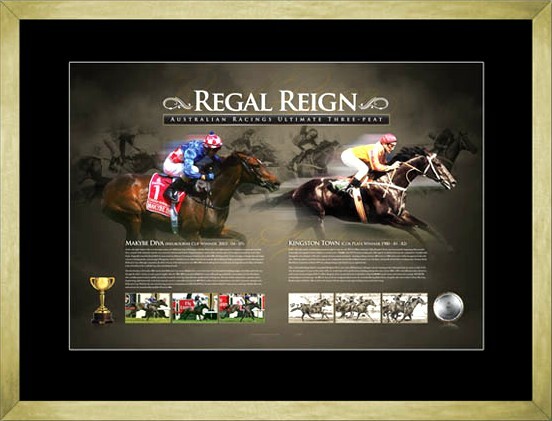 Regal Reign Makybe Diva & Kingston Town sports print, Framed - SPECIAL! Muhammad Ali Personally Signed Photo Series, "Ali and Cosell", Framed - HALF PRICE! Sports Online Memorabilia proudly offer an enormous range of signed collectables. If you are searching for cricket, AFL, rugby union, rugby league, motor sports, horse racing, tennis, Olympics, soccer.... you will be looking at the largest selection of sports memorabilia. Sports memorabilia official memorabilia sports collectables limited edition collectibles Australia autographed selling collectables store rugby league cricket AFL NRL Tennis Basketball Motor Sports memorabilia available in Australia. Our commitment to quality products, excellent service and 100% authenticity is recognised throughout the sporting memorabilia industry. Order online or phone us on 0410 415 674. All products can be purchased using our interest free part payment plan.